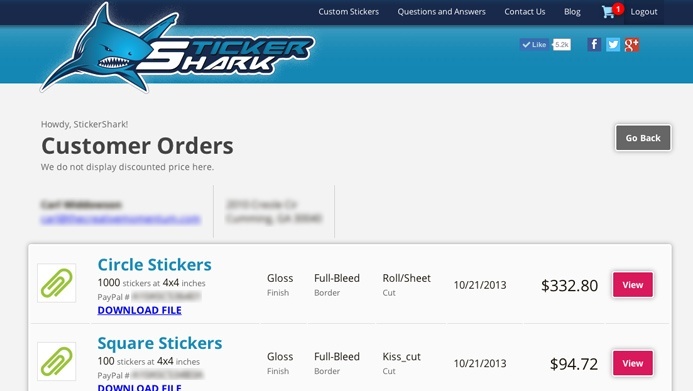 StickerShark began selling their custom stickers solely through their Facebook page in September of 2012. However it could only sustain itself for so long on a strictly social platform due to customer demands. Having quickly accrued over 4,000 likes, it was time for an easier system. Now over a year later, their newly launched custom website is helping them to better serve B2B, B2C, and non-profit companies across the country with the best custom stickers in the marketplace. 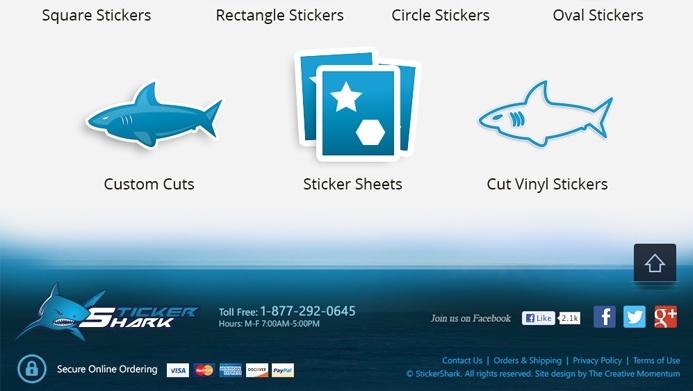 With modest beginnings, StickerShark is a family owned and operated business that originated from a childhood hobby. StickerShark's CEO, Patrick Whitley, states "I was in grade school when I began collecting stickers in my lunch box." Patrick and his father saw an opportunity in the custom sticker market because they felt that it was not being pushed nearly as far is it could be. They wanted a website and a company with exceptional customer service and a dedication to providing the very best custom stickers. 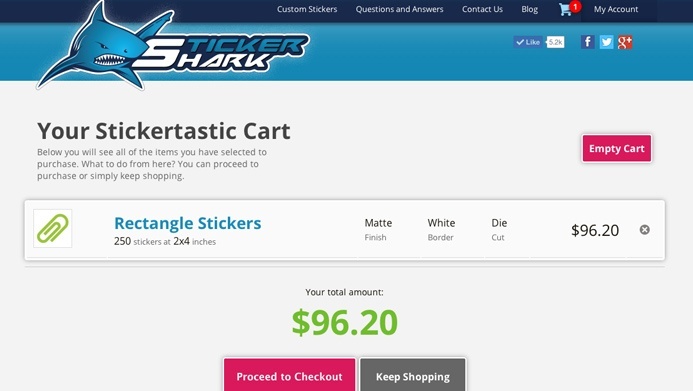 One of StickerShark's primary goals of the website was to make the ordering process easy and painless while leaving room for the site to scale with their business: eventually they want to add more promotional goods apart from stickers. 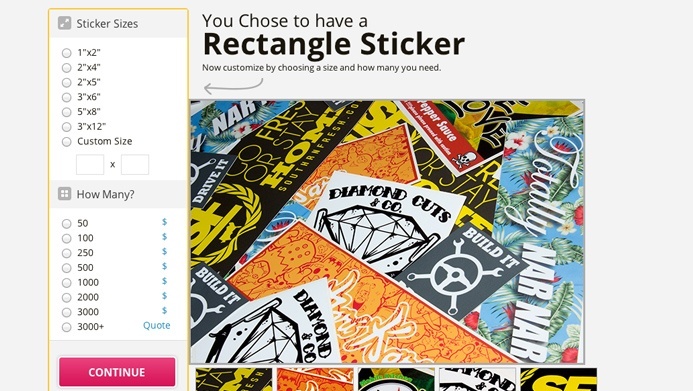 With their newly launched custom website, you can simply choose from one of the custom sticker categories, pick a size (square, rectangle, circle, oval or custom), quantity, and begin designing your sticker. 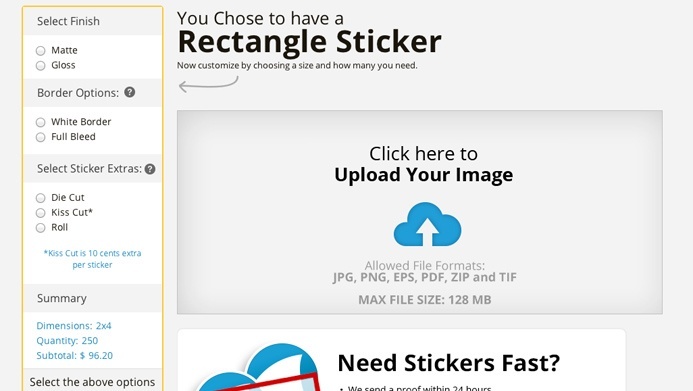 Then upload an image, receive a proof within 24 hours, and within a few days you'll receive your custom stickers. They also needed a more effective way to market their services and without a website that was nearly impossible. 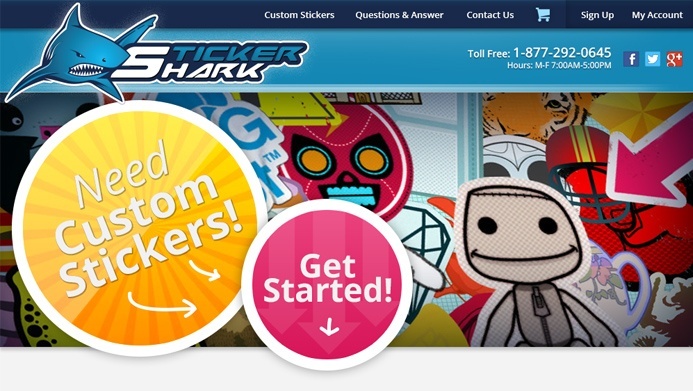 The task of searching for a web design company was paramount to the vision of StickerShark. After meeting with a web design firm that seemed more interested in selling them what they didn't need, StickerShark realized they wanted something more. "I want the best of the best web design firms. If I'm going to spend this kind of money, I want to get what I want," says Patrick. StickerShark eventually found The Creative Momentum, and felt confident that they shared a similar vision with the creative capacity for producing a flawless custom website. "The Creative Momentum had a solid direction that helped us where we needed to go and was more than a web design firm." StickerShark's goal for the future is to continue providing the best custom stickers while constantly increasing the quality and overall customer experience. The reaction to the website was extremely positive, "It's professional and clean. We were not sure what to expect. This definitely exceeded any expectations that we did have," raved CEO and owner Patrick Whitley.